Dyno Cavity 20.5 fluid is a low fuming cavity chemical, unsurpassed in the treatment of the abdominal and thoracic cavities in the most difficult cases. Dyno Cavity may also be used for external surface packs and for firming senile tissue. 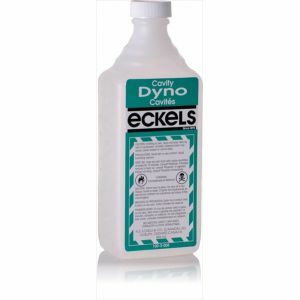 Eckels products are free of Phenolics or Glutaraldehyde.